Louisville Switching is now the proud owner of a new title: OEM Kalmar/Ottawa Dealer. Although the lengthy due diligence process and extensive inspection by Ottawa brings great honor for Louisville Switching, it won't result in a huge change for customers. 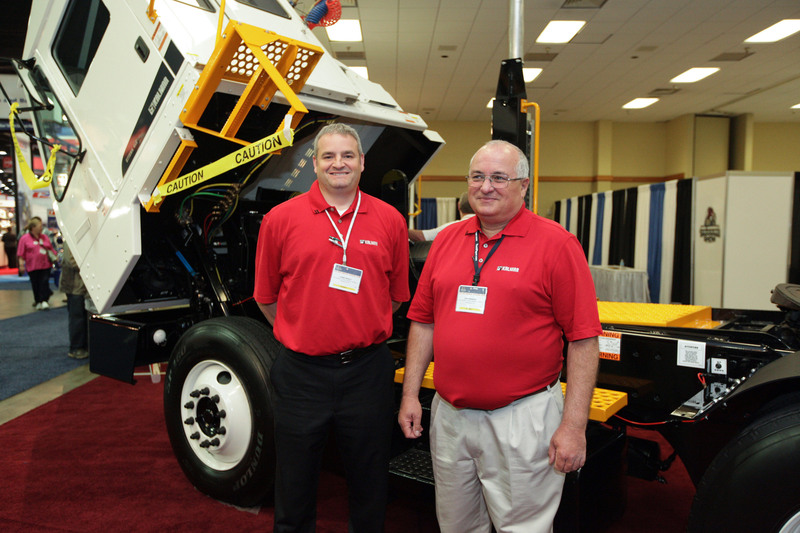 This year's Mid America Truck Show was a tremendous success. Our brand new and spacious cab was on display. This cab is known as "The Skycab" and once you see it it will become apparent how this name was applied to this design. The Mid America Truck Show 2013 is shaping up to be spectacular this year. This is our 13th year in a row participating in the Truck Show! We will be manning the Kalmar/Ottawa booths with another dealer and also some OEM personnel. We finally bought another service truck! After a long and hard search, we decided to purchase a partially refurbished 1996 model. We did most of the fine-tuning in our shop with our team. 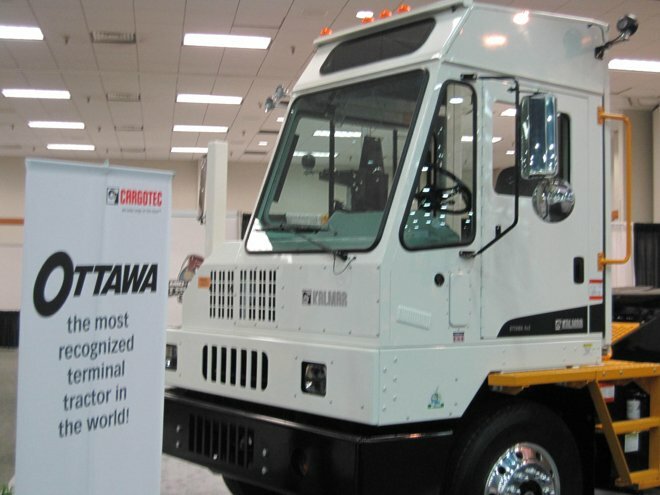 Since a big part of our business is buying and refurbishing used Ottawa and Kalmar trucks to lease or sell to our customers, we thought, why not use the same process to find our service truck? When we started the search, we knew we needed a truck that had a mounted crane and would be able to lift heavy parts in the field. This can lead to less down time and less cost in transporting a truck back to our bay for service. 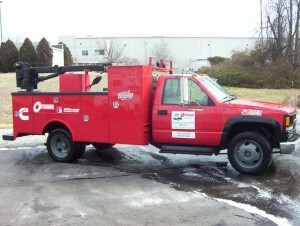 This truck has proven to serve those needs well and it’s made our service tech, Gordon very happy. That’s important to us.